Squaw Valley Ski Resort has a reputation for attitude. It comes with the territory, and while the incredible array of skiing talent and goosebump-inducing terrain is truly world class, the on-mountain vibe can sometimes turn sour when egos run amuck in the lift line. It’s an “I’m the best skier on the mountain” attitude that alternates between a joke and a culture, and there’s no denying the mountain has produced some of the world’s best athletes. 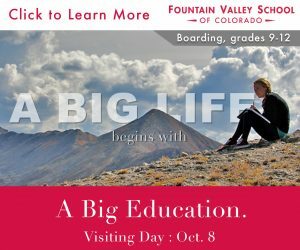 In the end though, isn’t skiing supposed to be fun, above all else? Time to take a page from the National Brotherhood of Skiers, who rolled through Squaw this March in colorful costume, dancing their way through the Village and clearly not giving a damn about who the best skier on the mountain is. Originally made up of 13 groups when Clay and Finley started the club back in 1972, the Brotherhood is now made up of 56 chapters and over 3,000 members, and almost 600 of them were at Squaw Valley this spring. 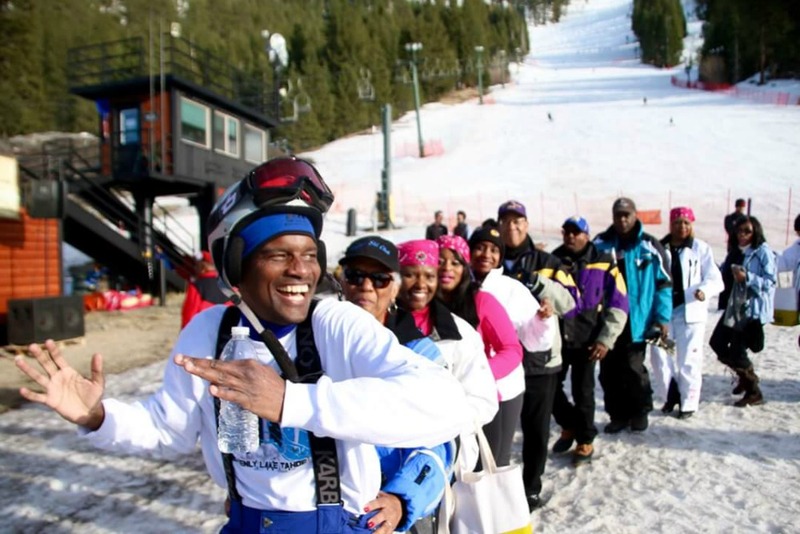 The New Orleans Jazz-ma-tazz, The Chicago Sno-Gophers, The Montgomery Avalanche — yes, Montgomery, Alabama has a ski club — all reunite for a Black Summit every year at a different mountain to ski, dance, and party. “We bring the snow, and we bring the party,” said Odette Thomas, president of the Jazz-ma-tazz. “People love us because we bring the Mardi Gras flavor to the mountains.” A quick shout out to Sun Valley here — Thomas said that when the Brotherhood visited Idaho in 2014 the locals partied as hard as any ski town she had ever witnessed. Squaw held its own as well, and the scene in the village for the week was reminiscent of an apres that never ends. Thomas was right about bringing the snow as well. In the four days leading up to the event, over 82 inches of snow fell at Squaw Valley. The week started with an opening ceremony of sorts, with all the clubs dancing their banners through the village olympics-meets-conga-line style. In a change of pace for a resort that is known for its annual WinterWonderGrass bluegrass festival, DJs Chubb Rock and Dollar Bill brought the hip hop slopeside. 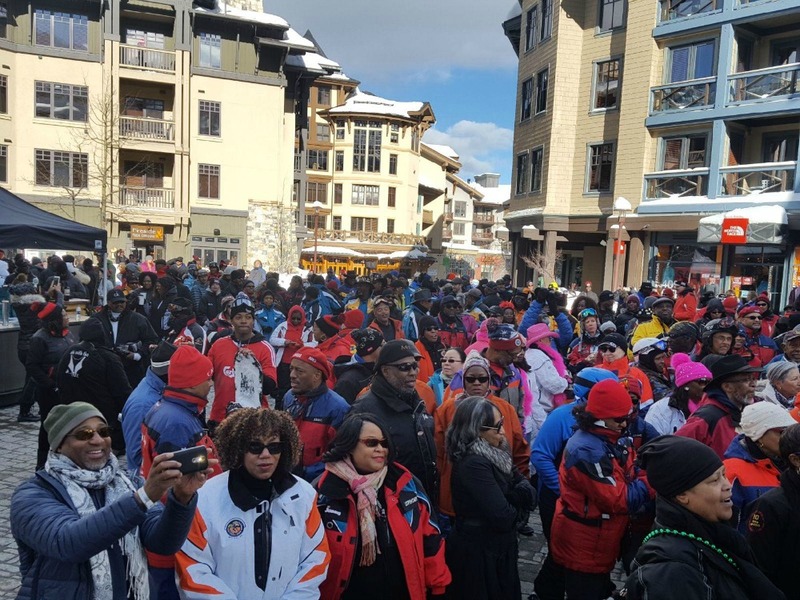 I stopped by the clubs picnic at Squaw on a Wednesday afternoon, and when I first walked out on the Base Camp patio Jay-Z and Kanye West’s “Ni**as in Paris was blasting out to the KT-22 lift line. 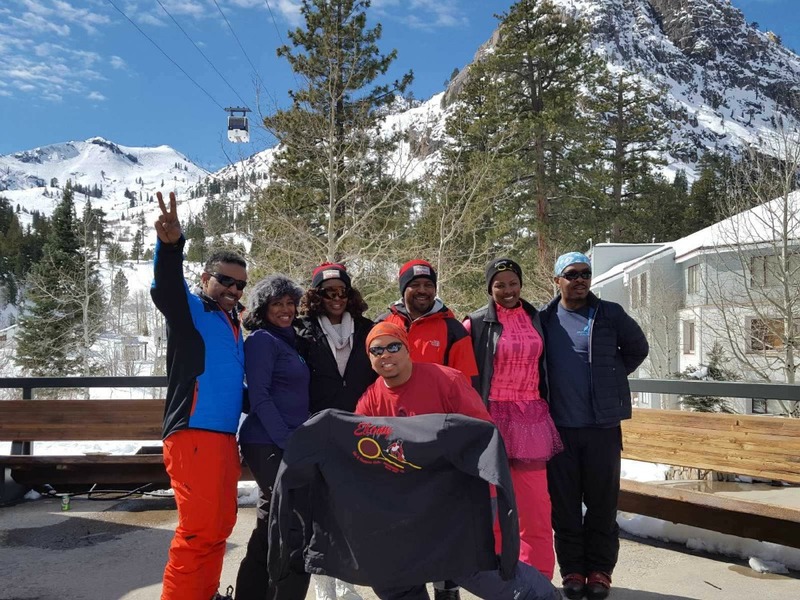 “It’s about time they played some good music here,” said Gayle Guest-Brown, owner of a Sacramento-based corporate leadership company, as we rode up Red Dog chair up Squaw’s lower mountain later that day. Guest-Brown is a member of one of the few western clubs, and was relishing in having the Brotherhood at the doorstep of her home in Sacramento. Her husband teaches part time at the resort so she skis there about 20 times a year, but said it’s not often she sees other African-American skiers on the hill. 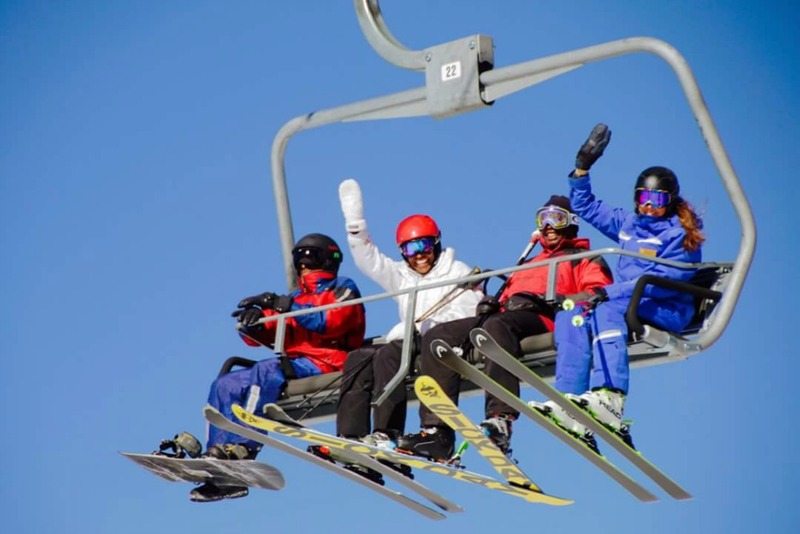 In fact, according to Snowsports Industries America, only seven percent of skiers in 2014 were African-American, a figure the Brotherhood has been trying to boost for decades. Unfortunately the Brotherhood’s numbers have been dropping steadily over the years, a common trend in ski clubs around the country. They’re getting older. Even Clay says he might retire soon, on account of his wife becoming a better skier than him. With any luck though, the Brotherhood will continue to show up every year at ski hills around the West to show the locals another side of the soul of skiing. Next year, they’ll be in Steamboat, Colorado.